[photos by Jo Heeseon] The press conference for movie Midnight Runners was held on July 17 in Konkuk University’s Lotte cinema. 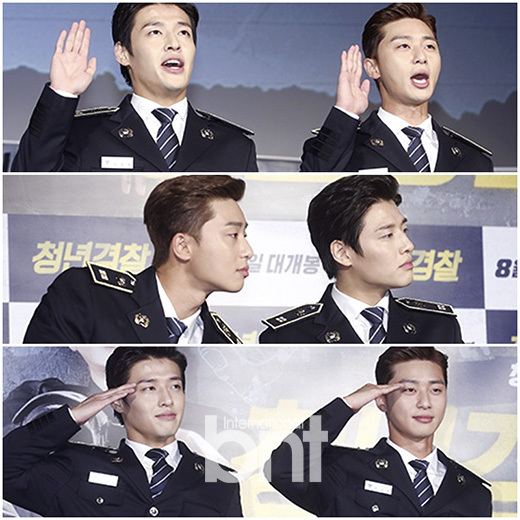 Actors Kang Haneul and Park Seo-joon attended the event in their police uniforms. They’re already raising anticipation regarding their bromance relationship in the movie. Move Midnight Runners tells the story of two young officers facing a case of abduction. It’s an action movie starring Kang Haneul and Park Seo-joon and which will hit theaters in Korea on August 9. Previous articleGUGUDAN Mina & Hyeyeon to COME BACK as a unit!